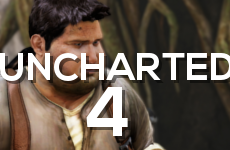 The reveal of Uncharted for the PlayStation 4. We still don't know if this will be Uncharted 4, a continuation of Drake's story or if it will be like InFAMOUS: Second Son, where we have a totally different protagonist. We have great news for all our Uncharted fans – Amy, Justin, and the team are hard at work on an amazing new installment of the Uncharted series to be released exclusively on the PlayStation 4 system. Our goal is to continue what we’ve done in previous console generations and once again deliver the best in storytelling, performance capture, technical innovation and graphics on the PS4. We can confirm that the voiceover is performed by Todd Stashwick and he will play a character in the game. Yup, definitely the bad guy. Yes, most likely. Naughty Dog all-but confirms it in the comments section of the official PlayStation blog. I mean really, if you knew Drake was not going to be in the game, would you feel compelled to reply to this guy? No, you would be more like "oh jeez, I hope he's not super mad when he finds out..." But nope, instead she replies with something along the lines of "we can't wait to show off Drake in next gen graphics! And oh mah gahd the explosions behind him as he jumps off of stuff! !1"
ok, yes, I'm excited too. I love the Uncharted series but I really wish they would have announced it at a later time because I am sure the game is in very very early development. Now I am officially waiting for next-gen Uncharted and it's going to be a very long wait. Regardless, it was still a nice surprise.